What more can a queen consort ask for than a baby panda to pose with. 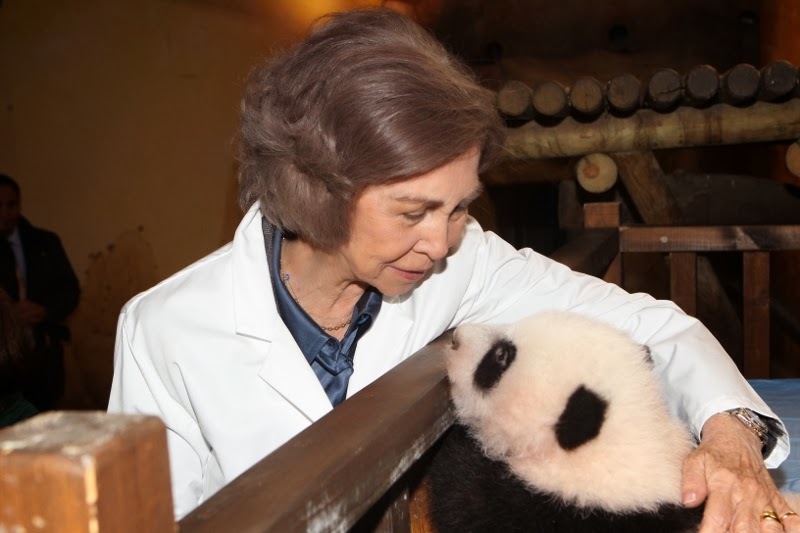 Queen Sofia of Spain got her wish when she popped into Madrid zoo to meet the new baby panda born there in August 2013. Princesses must know that that their tummies are always on show. And those two fashion icons extraordinaire, Letizia of Asturias and Kate of Cambridge, have been having belly laughs at everyone's expense in recent days. Kate's tum was famously flat as a pancake less than two months after the birth of Prince George but on her latest public engagement she's made sure any photos of the royal midriff will be totally complimentary by wearing a semi-empire line lace dress that covers everything while showing off just how slim this new mum really is. 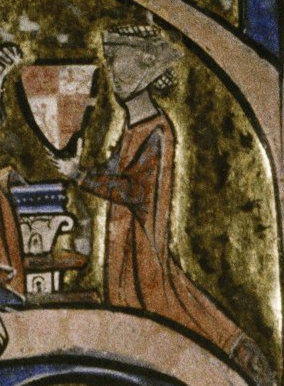 Eleanor of Castile was loathed by many of her English subjects in her lifetime. 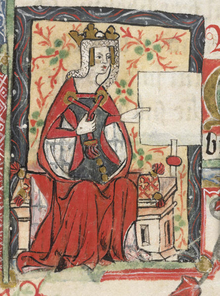 The wife of Edward I, who died on November 28th 1290, was seen as a dangerous influence at court. Following her marriage to Edward, heir to the throne of England, in 1254 there were many in her new country who feared all she would bring with her when she arrived to take up her royal role were greedy relatives and friends. That image never really altered. But in death, Eleanor was transformed from grasping to ultimate romantic heroine. 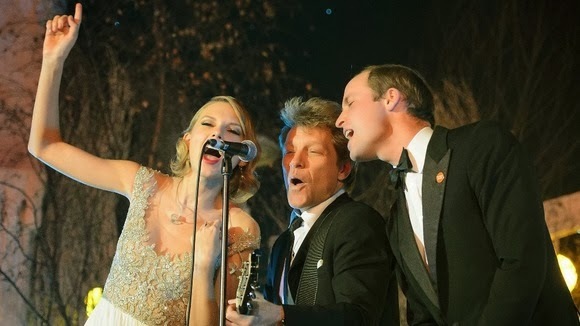 Prince William has a few royal firsts under his belt but belting out karaoke with Bon Jovi and Taylor Swift is a totally new one. The Duke of Cambridge had invited the two stars to Kensington Palace for a charity fundraiser on behalf of Centrepoint. And while everyone expected some uber glam snaps of a future king and a pop princess, no one thought they would sing together. Let's hope that Taylor Swift is good at lullabies. The US star is at Kensington Palace tonight for the Winter Whites Gala, an annual event held in aid of homelessness charity, Centrepoint UK. And as their patron is Prince William, he's offered them his spare ballroom at Kensington Palace to host the event. Which means Taylor and the other headline act, Jon Bon Jovi, are going to have to be really quiet. There's a future king asleep in the nursery. 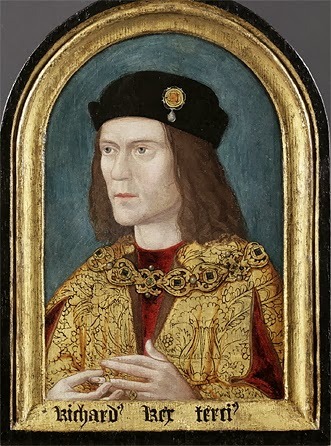 For a king who died over 500 years ago, Richard III is getting a lot of attention. For centuries, the bad boy of British monarchs has been pretty easy to sum up. Jealous brother became jealous uncle who knocked out the rightful monarch to take the crown himself and then lost it in a fight with an upstart of a cousin. Oh, and he had a hunchback, withered arm and really, really needed a horse when his big day out at Bosworth went really, really wrong. That's the Tudor version of history and, just as that royal house shaped a lot of what we call modern Britain, so that version of Richard's story remained pretty much unchallenged. And suddenly, this most beleaguered king is box office. For a long time, November 26th was a notorious date in England's history. 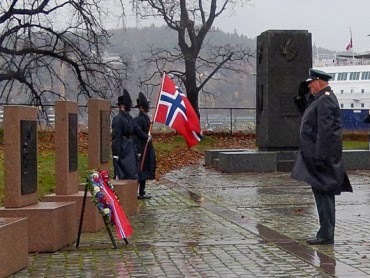 It marked the day when the country had to come to terms with its fledgling monarchy stumbling into serous trouble. Today, in 1120, the English king found out his only legitimate son was dead and his throne was in danger of falling empty. And so started a chain of events that would lead a young girl in what is now Belgium becoming queen consort of England. And it marked the beginning of a fight by an exceptional woman to become the first queen regnant of her country. On this day, in 1487, that most ambitious of medieval monarchs, Elizabeth Woodville secured her legacy. 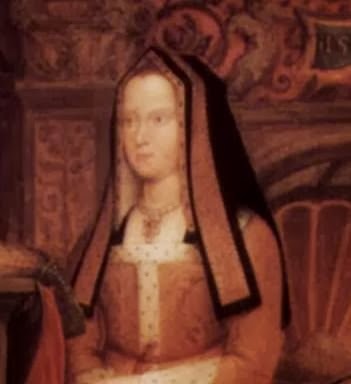 Her eldest child, Elizabeth of York, was crowned queen consort of England. And over 500 years later, it is Elizabeth Woodville who still grabs all the headlines. Her daughter wasn't as pretty, as scheming or as determined as the first commoner queen. And so while Elizabeth, Princess of York was the daughter, sister, wife and mother of kings of England, she remains eclipsed by her mother. Her voice has rarely been heard in public until now but as the Spanish royal family left the Quiron clinic in Madrid after visiting King Juan Carlos, it was the Infanta Leonor who led the family's interviews with journalists. The eight year old, who one day will be queen of Spain, answered several questions from journalists as she ended her hospital visit alongside dad, mum, granny and little sis, Sofia. And if she looked a little bit nervous at times - who could blame her with just a few dozen people shouting at her and letting flashes off in her face - she's now got her first big public moment out of the way. Just like her fellow heirs across Europe. It was all the fault of Elizabeth I. That amazing queen of England has just added another string to her bow by being part, albeit as a fictional creation, of the 50th anniversary episode of one of the biggest TV dramas ever. Doctor Who has just marked its half century with an amazing adventure and thankfully, the show went back to its whimsical best and made one of England's most famous monarchs one of the stars of the show. 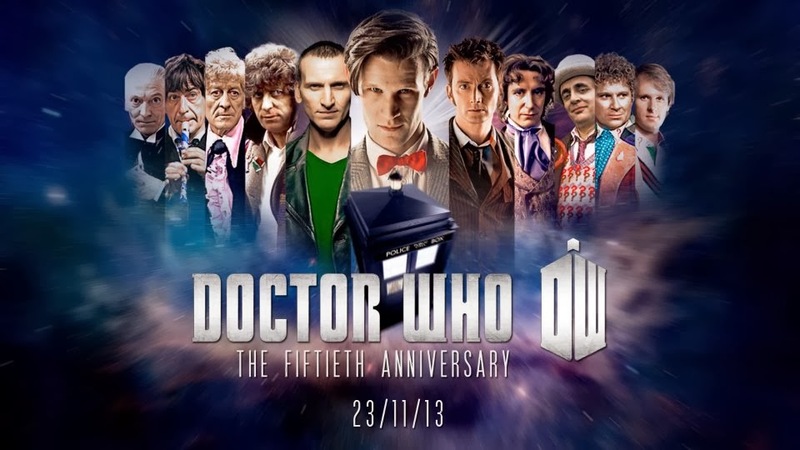 All of them together again - the Doctor turns fifty today and brought along Elizabeth I to celebrate Many actresses have tried to bring Gloriana herself to life and Joanna Page made a very good job of it for this hugely significant show. It might not be the dramatic, haughty Elizabeth of legend but she had all the spark and determination of that amazing monarch and delivered the queen's most famous line from that speech at Tilbury as well as anyone else. 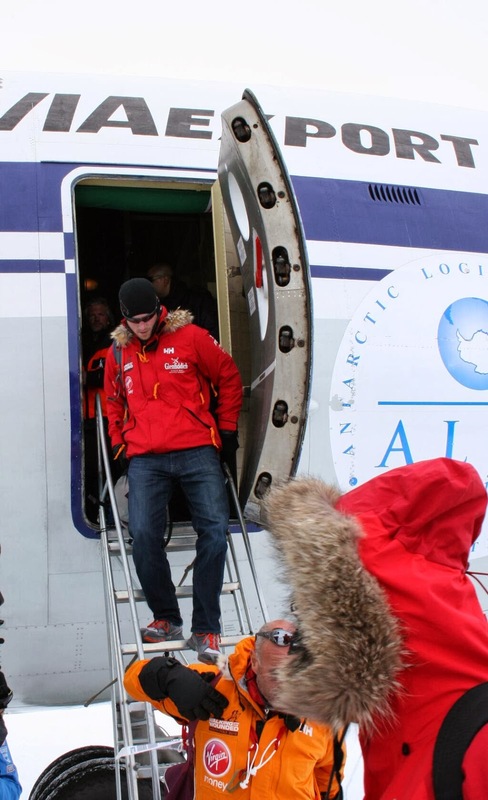 Prince Harry is now in Antarctica to get ready for the race to the South Pole. The prince is patron of the British team taking part in the event and, like the US and Commonwealth teams, he's now spending several days getting used to the temperatures and altitude that will surround him for the next four weeks. He's hoping to reach the Pole by December 17th and already has the makings of a polar explorer beard. Just the makings. Here's hoping that's just a few days' growth - given that he's descended from Edward VII and George V who sported two of the most famous royal beards in history, it's not his best effort. The Duchess of Cambridge's skirt malfunction in London today is small fry compared to the rather more revealing breeze moment she had in Calgary on her first official overseas tour following her marriage. Then, her primrose yellow dress caught in the wind and almost gave us a royal knicker flash. 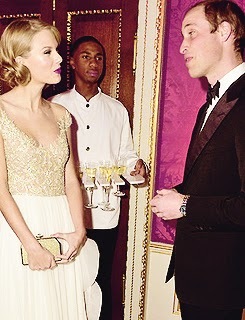 Charles, Prince of Wales is the boy who waited. The prince is the oldest person ever to be heir to the British throne and he's also held that position longer than any other. And if his mother lives anywhere near as long as her own mother, the boy who became first in line to the throne at the age of just three will be a man approaching eighty when he becomes king. 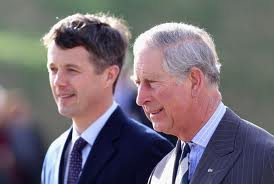 But Charles is just the beginning of a generation of men and women who will assume their destinies at a much greater age than any of their predecessors. Europe's monarchies are getting older. Not for the first time, the Duchess of Cambridge has been caught out by a breeze. She's struggled with flimsy skirts in gusty weather before and has had two wind in hair moments this month already, the latest just yesterday when she arrived at an engagement only to find her locks in her face within seconds of getting out of the car. Today, she'd made sure that didn't happen by tying the royal hair back but almost as soon as she'd got out of her car today, she learned another royal lesson. Why royals don't wear chiffon skirts in November. Her flimsy frock went for an upward dive as a gust of wind caught it outside Place2Be but fluttered down just in time to spare Kate's blushes. Which meant the only controversy about this outfit was why she'd chosen dark navy shoes with an all black outfit. Where have all the royals gone?